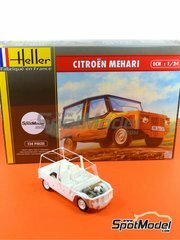 Tamiya latest creation, announced at Nuremberg International Toy Fair. 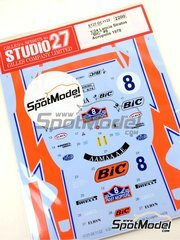 Includes decals and paint masks for recreating Marc Márquez's bike decoration, as well as clear parts for the tank grips and windshield, rubber slick tyres and racing stand, and if that's not enough, front, side, rear cowlings and tank cover are removable after assembly, and an optional front fork detail up set is also available. 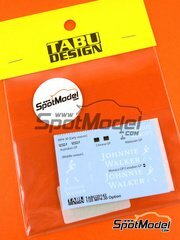 Just indulge yourself! 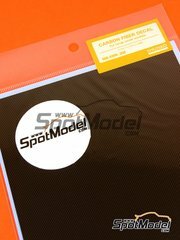 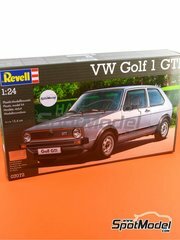 Although mainly designed for the American market, luckily Revell is also bringing it for the European market for a short time. 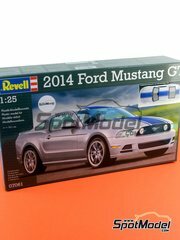 Coming from the American market, this Revell kit features a car body in aluminium colored plastic that also includes painted blue stripes. 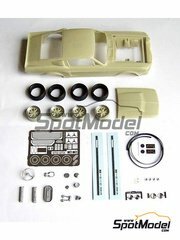 Parts listing also includes a fuuully detailed engine as well as the interior and bottom of the car. 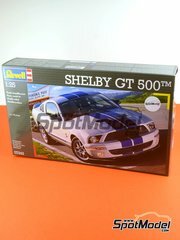 Newly reedited kit of the American super sports car. 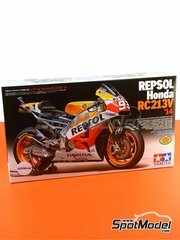 Released in 1/25 scale, it features a fully detailed engine and a wonderfully big parts break up. 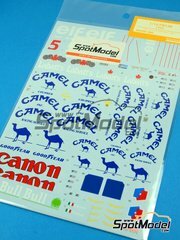 Can you resist? 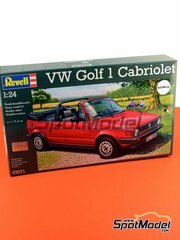 The first Golf, the first of the mindblowing GTIs, became VW greatest icon without any doubts, and now converted by Revell into an awesome kit for the joy of all scale modelers worldwide. 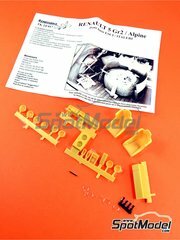 Engine is fully detailed, with a fully working front bonnet, assembly allows both left-handed and right-handed builds, and if that's not enough parts break-up is excellent. 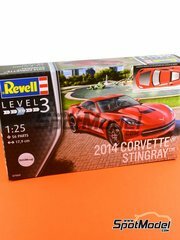 THANK YOU REVELL!! 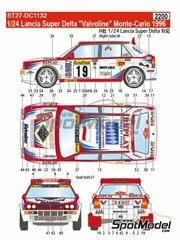 Set of lamp pod and lamps for the Lancia Delta. 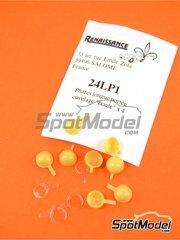 Set of resin parts for detailing both Esci and Italei R4. 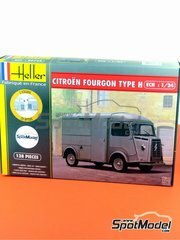 The set includes dashboard, two bucket seats, a helmet holder, an additional gas tank, front headlamps, fog lights, bonnet pins and exhaust pipe embellishments. 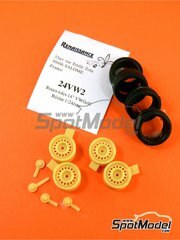 Set of 4 rims and tyres for VW Golf Mk II. 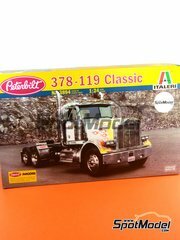 A classic american truck, now reedited by Italeri with a brand new decal decoration printed by offset techniques. 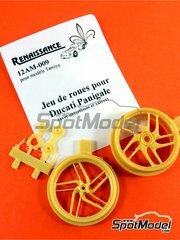 The kit also includes a chromed sprue, rubber tyres and an endless number of parts to have a great time. 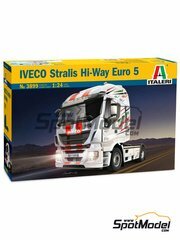 Italeri delights us with this Iveco 560 kit, a truly gorgeous European machine. 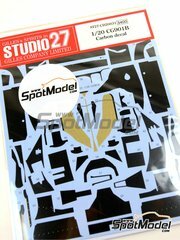 Below countless plastic parts, you will also find in the box silver precut vinyl, 3D assembly instructions, a fully detailed engine, and an extensive decal sheet. 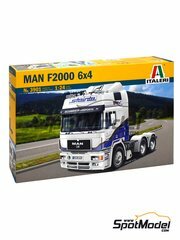 The kit includes decals for two different decorations, besides the usual rubber tyres, detailed interior, mechanical parts, chrome parts, ... included by Italeri in their truck models. 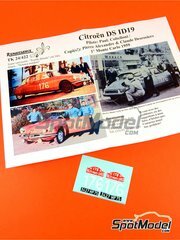 It's not quite usual to find Greek pilots in the World Rally Championship, but here's one of them and his co-driver racing at the Acropolis Rally 1978 on their Lancia Stratos, loaded with BIC logos. 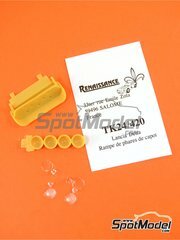 Set of resin parts for replacing Tamiya Panigale rims, detailing even the embossed inscriptions on rim panels. 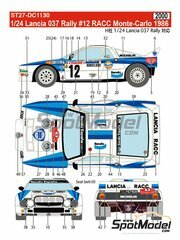 Decals set for decorating Alen and Kivimaki's Statos at 1979 RAC Rally. 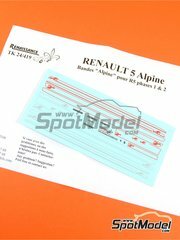 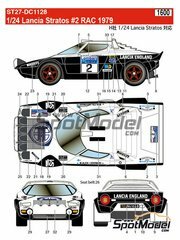 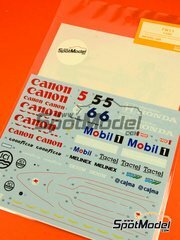 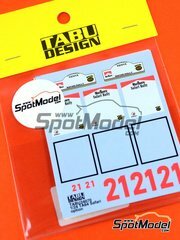 These lads with number 176 where the winners at 1959 Montecarlo Rally, and you can now reproduce their car using these decals and Ebbro scale model kit. 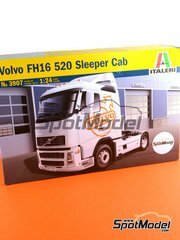 A great looking Volvo FH-16 scale model kit with Italy printed decals using offset tecnologies, also including the usual rubber tires, plastic parts and the always detailed Italeri break up. 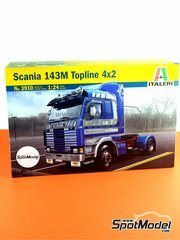 A gorgeous Scania 143M scale model kit by Italeri including, in addition to many others, one sprue with chromed parts, decals with license plates from different countries, the usual rubber tyres, several sprues with plastic parts, and the classical detailed parts break up found on Italeri kits.